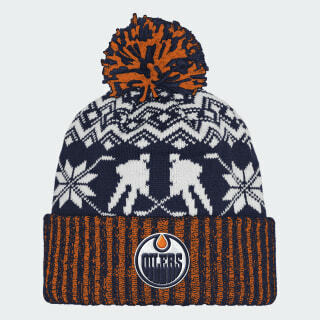 A holiday-inspired knit cap for Edmonton fans. Keep warm while you cheer on the Oilers. This knit beanie has a fold-up cuff for extra comfort and a cosy fit. Holiday-inspired details and a pompom on top give the hat a standout look.